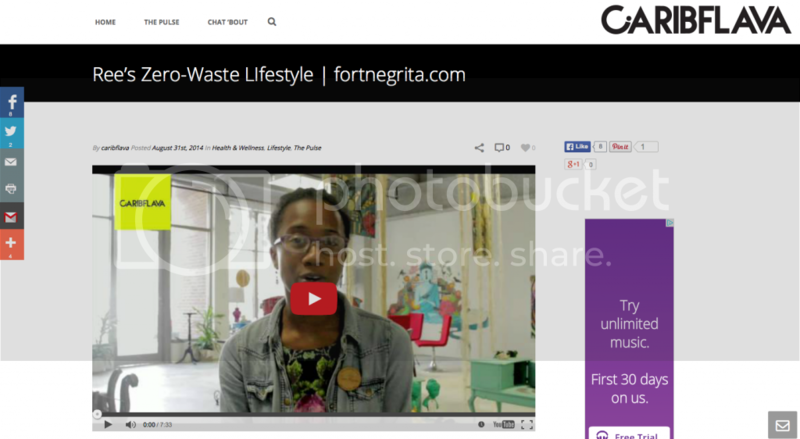 The Fort is Featured on Carib-Flava.com! During Downtown Atlanta's Pop-Up series I was able to meet the charismatic Quianah Upton of Arbitrary Living. I stopped pass her antique shop on Friday, when I met another woman-on-fire Stephanie Hasham. She runs a blog Carib-flava.com and got me on camera for her 'Lime Break' edition. I talk about my transition into Zero Waste life, bad spending habits and why my momma' always thought I was the weird kid. Click here for the full post!